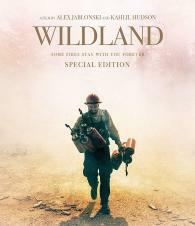 Filmed over one fire season, Wildland (previously titled Young Men and Fire) is a sweeping yet deeply personal account of a single wildland firefighting crew as they struggle with fear, loyalty, dreams and demons. What emerges is a rich story of working-class men -- their exterior world, their interior lives and the fire that lies between. A film by Alex Jablonski and Kahlil Hudson.